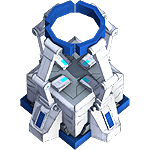 Build Bots allow you to construct and upgrade buildings within your base. Get more Build Bots to construct and upgrade multiple buildings at once. Maximum number of Build Bots: 5.